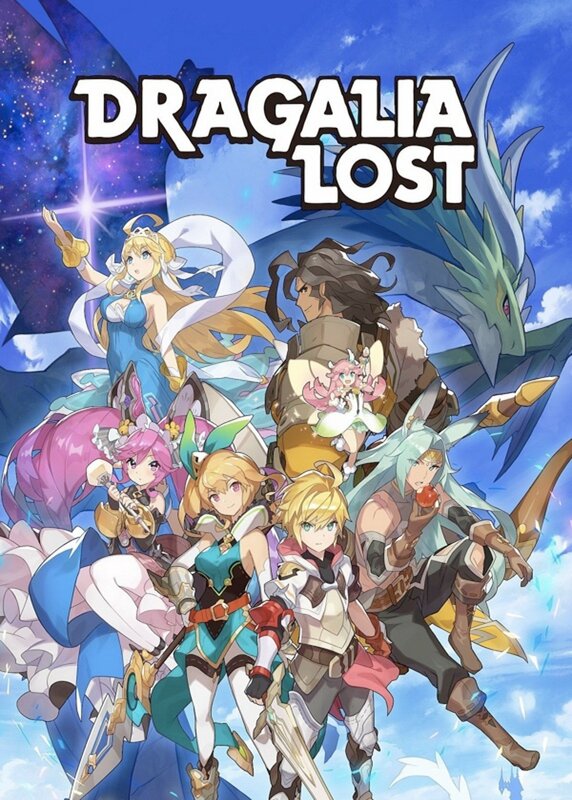 I may not have stuck with the Dragalia Lost game for very long but the plot was definitely pretty interesting. The manga is actually very impressive with how good the art is. It looks like this one will be taking a very detailed look at the story so if all goes well it’s going to be an excellent title. I’ll have a review for it when the series ends. All right, it’s time for the recent Power Rangers film! I’ve always been a big fan of the franchise from the concept to the video games to the costumes. It’s just a series that is brimming with so much potential and there is something for everyone. The trailers for the film came out and while they had some potential, the film started to bring up some concerns. Would the heroes get enough screen time as the Rangers and would the Dinobots get too much screen time? I prepared myself going into the film, but unfortunately it just didn’t understand what the series is all about. It’s really not a Power Rangers film at all and merely borrows the name. The film starts out by introducing us to a group of teenagers and trying to get us to dislike them as much as possible. First is Jason, a “misunderstod” delinquent who steals Cows and tries to evade the police. He’s caught since the authorities aren’t messing around this time and not only sabotages his entire town’s chances of winning the Football championship in the year but also doesn’t seem to regret his actions at all. This lands him in detention. Next is Kimberly. She decided to humiliate one of her former friends by sending a risky picture of her all around the school. This got that person in trouble and also destroyed Kimberly’s social life. Kimberly blames everyone else for this and winds up in detention. I forgot why Billy is in detention, but he’s good at annoying everyone so it probably wasn’t too hard and he does go around breaking the rules and blowing things up for no good reason. Trini is a kid who likes to be alone and goes to the mountains to meditate, but she is being spied on by Zack. Zack has a sick Mom so he worries her further by getting home late and hanging out in restricted areas. This group was clearly made for each other. The heroes are busted by the cops yet again, but this time they manage to evade capture. They secured some mystical amulets from the rocks nearby and were all granted super strength and speed. The characters try to point out that they all got different powers at the beginning, but the film forgets this so they all end up with the same powers. They then fall inside a spaceship where the formerly heroic Red Ranger has now turned sinister and wants them to transform so he can come back to life and destroy Rita. Rita is an evil ranger who wants to destroy the world to grab a shard and then she’ll use that shard for her own purposes. The heroes get ready to rumble, but realize that they may be in over their heads. Can they do this!? All right, there’s a lot of problems with this film, but also some good things. I’ll just mention them all scatter shot style so there’s no real rhyme or reason to this review. For starters, I have to say that these kids are impressively slow on the uptake half the time. After they obtained their powers and saw an actual spaceship, Trini still believes it’s all a big joke and only stops talking when the door slams. At this point, I can’t picture anyone actually saying that. It’s a common trope for the characters to constantly doubt everything, but it just comes across as rather annoying. Can’t we have a more quiet character who just takes all of this in stride and nods along? The art of bluffing is truly lost on these guys. The heroes also do make sure to make quips every other second and they’re all pretty annoying. 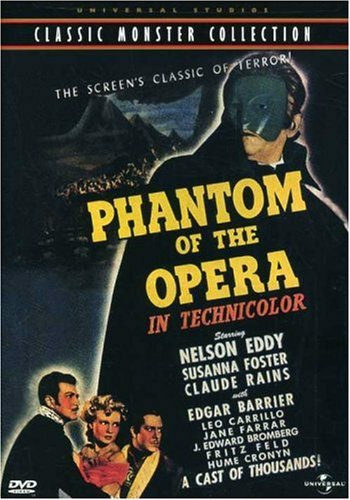 The writing is quite bad in this film to say the least so don’t expect any good lines. Aside from the language and everyone getting worse and worse as the film goes on, this also makes the film a little too dramatic. This may come as a surprise, but the film takes itself way too seriously at times. One such scene is when one of the Rangers seemingly dies. It’s not a spoiler because there’s no way they’d actually kill off one of the main members. It would have been a PR nightmare to do that since it would be like killing off Superman or Green Lantern right away. Film 3 could be a different story, but the first one? I don’t think so. The death scene is still around 15 minutes though as everyone carries him back and the music picks up. There are many similar scenes like the campfire where everyone starts sharing their secrets. The film tries to be incredibly somber and I just wasn’t sold. The proper way to handle dramatic scenes is to be quick and not dwell on them. If it was a powerful enough moment, the audience will get it. Grabbing a 30 second scene and stretching it to 5 minutes doesn’t make the scene any more powerful. Usually this is where I’d bash the romance for being just as dramatic, but fortunately the film actually stayed away from that landmine. I admit that this was rather impressive. The film also completely ruined Rita’s character. She spends most of the film as an undead zombie who loves to caress all of her opponents before finishing them off. It’s an old trope that I wish had died in the 60’s with all of the old Vampires. It doesn’t make her any more intimidating and is just hard to watch. Her design could have been cool, but they decided to make her a troll by giving her a ton of wrinkles and scars the whole time. She never even got to actually use her cool Power Ranger suit. Get this…she doesn’t even get a big fight. There is one action scene where she beats up the heroes before they turn into Power Rangers, but that’s it. See, this is where the film forgot its origin. Power Rangers is all about the high speed hand to hand battles where they duke it out with the villains and you get amazed at the choreography. If you ask someone about Power Rangers, the first thing they’ll think of are the hand to hand fights. It’s like having a Dragon Ball Z film without the characters powering up and shooting energy blasts. The action in the film is very limited throughout as we only get a small handful of actual fights. Again, the 5 teens against Rita is the only real fight scene. The rest are against small rock golems that don’t put up any more of a fight than the NPCs in Dynasty Warriors. I think we deserved more action. I think it’s partially because the film decided to add in the Zords. Their fight scenes aren’t particularly good either because….they’re up against a giant stone golem that is extremely slow. That’s the last thing I was hoping for from the climax, but it happened all the same. They just keep blasting it and jumping on the thing and it shakes them off. Rinse and repeat for quite a while. The only good part of that fight was when they merged into a giant mecha robot and then fought it. I could at least get behind that fight a little even if it was even slower paced. At least it felt more like a fight. I just don’t see the appeal of having giant machines fighting an even bigger opponent who can’t move. For some reason that is mainstream and people like it so it’s here to stay, but then at least give me my classic hand to hand fights. That’s where the potential was. For example, we see that Jason has a cool energy sword as the Red Ranger. He just never gets to actually use it in a fight. What was even the point of showing it off? On that note, the effects were pretty good though. Ignoring Rita, everything looked very crisp and flashy. It felt like a good sci-fi film and you can see that they used most of the budget on it. Maybe they ran out and couldn’t use it much, but that’s still a big mistake. I also can’t forget to mention that the soundtrack is pretty bad. Most of the songs are just really sad rap songs with no heart or the lyrics just make you wish the scene was silent. We do have some good themes like the electronic battle theme or the Power Rangers theme song. They were just outnumbered by the bad tunes. The film also heavily overused the slow mo effect which goes back to the being too dramatic thing. Once or twice is okay and more than that can be good if the film is poking fun at itself. Otherwise it’s just wasting time. On a positive note, it was nice to see Jason just shut the bullies down right away instead of thinking about it for a while or waffling on whether it was the right thing to do or not. He just walked into detention and took names. He also made the right call in deciding to go after Rita right away even if everyone else was too scared to do anything. She would come after Trini again otherwise so not doing anything would have put her in danger. He also doesn’t care about everyone’s dark secrets and just wants them to move on. He’s the best member of the team even if it pretty much is by default. He’s like a badly written Captain Kirk from the recent movies. Similar backstory but less heroic and less sympathetic. I think he’s past most of the negatives though so he should be more likable in the next film. Billy wasn’t too bad, but he’s more annoying than anything else. He’s the classic “Are we really heroes? I should keep on asking that so that’s exactly what I’m gonna do” character. He keeps repeating things to let the audience know that this is important. When you think about it, this film is really just filled with cliches. So, it takes Billy a long while to actually understand what’s happening, but at least he was the first one to learn how to transform. He’s the smart member of the group so he helps them find the Krispy Kreme’s. I still wonder why he was going around blowing stuff up at the beginning though. Isn’t that one of the worst things you can do when you’re at a restricted area you’re not supposed to be in? He went from being a nice guy who was getting bullied to suddenly coming out as a delinquent himself. He was quick to help trick the authorities with Jason’s home arrest button after all. I know the whole point of a sob story is to show us that a character made a mistake and all, but Kimberly’s was pretty drastic. I don’t think we ever really got a proper reason for why she sent the picture. The bullying was also extremely tame which I was cool with, but why would she even think that she could maybe get back on the cheering squad? Once we learn why everyone isolated her, then that should have been a given. It all just seemed out of character, but the Kimberly that we do see is reasonably good. Trini is the tough character who tries to be a loner. Honestly, if she had escaped the other Rangers and stayed a loner that could have made for a good plot point. She is probably the second best ranger though. Her origin story is the least sympathetic since she runs around with a bad attitude the whole time, but at least she doesn’t get buddy buddy with the others too quickly. It would have been nice if she could have put up a better fight against Rita though. Finally, Zack is the worst ranger and supremely annoying. He spends the whole movie basically flirting which never works and is the main comic relief character. Well, everyone is comic relief at one point or another, but he tries to crack a bunch of jokes even if none of them ever actually work. He breaks the rules just because he can like when he almost squashed everyone with his robot, but no worries, he’s not apologetic about it either. That’s something that the characters always have in common. This review has come off as rather negative and deservedly so as I would give the film under a 5, but it’s not a 2 or anything so keep in mind that the film does have its positives. As I mentioned, the effects are good and the little action that we do get isn’t bad either. Aside from the fact that the characters are unlikable, the scenes of everyone insulting each other and getting into fights aren’t bad. It makes for reasonably entertaining moments. The pacing is also good so the film never gets boring at all. It actually moves from scene to scene with ease. Jason’s Dad may not have been on the same page as him, but I thought they did a good job of not overdoing it with making him very antagonistic. He was upset with Jason’s decisions, but he should be considering what a big mistake that was. He still drove out into the battle zone to save him if necessary. I wouldn’t mind him being the down to Earth adviser for the team in the next film as he eventually gets accustomed to the whole Power Rangers thing. On a side note, anyone else find the Rita eating teeth scene incredibly random and out of nowhere? It seemed like it was just trying to be creepy and disturbing for no reason. Honestly, it was just one of those things that makes you shake your head. The whole gold issue is one thing since she needed it for her staff, but eating it to get younger was really out of nowhere. The scene of her just eating it all and various other things while hanging out at the scrapyard just cemented the fact that she wouldn’t be a good character. At least the film is taking some cues from Teen Titans Go assuming the episode came out first. Is it just me or were the main teens pretty bloodthirsty the whole time as well? Their first instinct when entering the alien ship is to try and murder the little robot. They mention this 2-3 times and when they are told by a giant floating head that they must destroy a girl named Rita they don’t hesitate at all. They basically just yell “No prob” without question. I suppose I shouldn’t be surprised though. As a positive note, the film’s atmosphere is pretty enjoyable though. It’s light hearted so at least you will leave the film on a high note. That’s why getting through the film is easy since you won’t constantly get turned off from it. There’s no animal violence which is always important. Not that any film wants to be compared to Pixels, but that’s a good example. That was a bad film, but it’s one I could easily watch again. It’s not quality entertainment, but it is entertainment. I did like the fact that the film included Krispy Kreme’s. That doughnut shop doesn’t get enough screen time anymore and hopefully the film paid them for the endorsement and not the other way around. I’m always up for a good doughnut scene after all and maybe that will become their base. By the way, the film does have an after credits scene. It’s pretty underwhelming and the film clearly phoned it in, but at least we see more destruction of school property. He’s going to fit right in with the rest of the gang. I won’t say who it is, but prepare yourself! Overall, The film may not have a lot of heart, but Power Rangers can be decently fun. The effects are nice to look at and the banter can be enjoyable. The writing holds it back considerably and the lack of action is disappointing, but you can’t have it all. I think a sequel would likely be able to fix a lot of the film and would hopefully regain its identity. It needs to put the Power back into the Power Rangers. I wouldn’t really recommend this film as it just isn’t good, but at least it’s an entertaining bad film. That’s the optimal kind of bad flick to watch as it does have a reasonable amount of replay value. The issue is that most films can say “I’m you, but better” to this movie with a straight face. 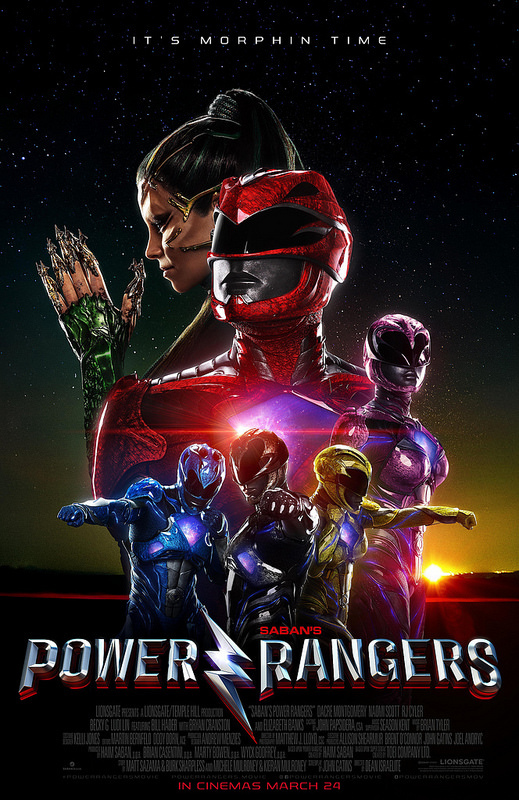 There isn’t much original about this one and honestly it would have been a better film if it had simply not called itself Power Rangers.